Using a ColdCure wrap on your knee will bring down the pain and swelling, allowing you to start on your BFST treatments. It is important to allow your swelling and inflammation to subside quickly, as most of the pain and stiffness that you're feeling is because of the inflammation. The cyst in behind the knee won't be completely gone before you notice the pain level decrease, but it will get a little smaller. BFST is short for "Blood Flow Stimulation Therapy". The BFST Knee wrap stimulates the blood flow in your knee, allowing your body to deliver essential nutrients and oxygen to your knee injury to speed up the recovery. 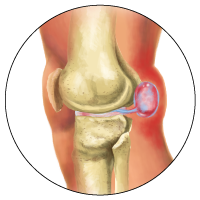 The Baker&apos;s Cyst is only a side effect of an underlying knee injury. By increasing blood flow to the injured area, the underlying ailment can begin to heal, eventually making the Baker&apos;s Cyst disappear as well. 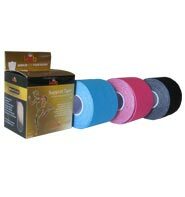 Using the King Brand Support Tape will help prevent you from straining your knee and will provide light compression to relieve swelling. You might be asking yourself "Who is King Brand, and why is their forum content so important?" Well, here&apos;s why! 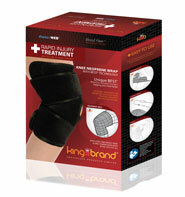 King Brand takes pride in knowing that their products will help heal people, and they aren't afraid to show it. Their commitment to helping people heal naturally, is the pillar on which the company has grown on.